Remember when we typed in computer listings from magazines and loaded software from cassette tapes? On this page I'm going to look back at the 80s home computer revolution, featuring Amstrad, Atari, BBC/Acorn, Commodore, Sinclair and MSX. One of the most exciting days of my life was when I received my first computer. Virtually everyone else at school had a ZX Spectrum or a Commodore 64. 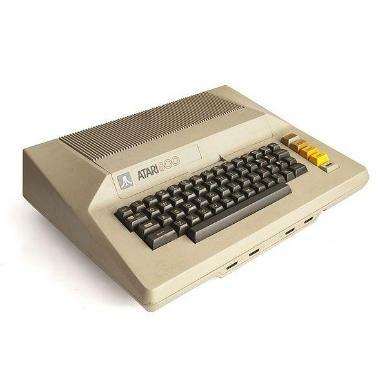 But as is nearly always the case, I hated being one of the crowd, so I persuaded my parents to buy me an Atari 800XL. It was popular in the U.S, but had more of a cult following here in the UK. These were the days when we were all using tape decks, and a 3.5" floppy was something you would rather not talk about, a hard drive was a trip to Weston-Super-Mare and, as for the web, that was just something that spiders built. At least computers were pretty easy to set-up in the 80s. You simply connected it into your TV's aerial socket (only rich people had monitors! ), plugged it into the mains and hey presto! After switching it on for the first time I was disappointed. There on the screen was the word "Ready" with a flashing cursor prompting me to do something. I was left thinking "Well you're the computer, you tell me what to do!". Well, after this initial disappointment, I quickly became addicted to the little beast, for I could now display my name on the TV screen in many flashing colours! Yes, I'd written my first computer program. After buying every computer magazine in WHSmith's (other newsagents are available), I discovered that thousands of other geeks were programming, too, and there were many pages of computer listings in each magazine. Computer geeks up and down the land were spending their evenings typing in BASIC code to run some crappy computer game programmed by another geek. Of course, it would never run the first time around and you had to spend another frustrating hour debugging the code. But finally, you would manage to get the game up and running at about midnight, when you were left too tired to play the damn game anyway! Still, I had learned the art of computer programming during the process. I actually had a friend who didn't even have a tape deck, so he couldn't save the games he had spent hours typing in. He would play the game for about half an hour and then switch off his computer and lose all of his hard work! Is that crazy or what? Millions of parents were conned into buying their kids home computers on the basis that they would use them to help with their homework, or help them become geniuses! The reality was, of course, that kids just used them to play games, with just a minority of geeks left to program them. Nothing much has changed then, for we still use them mainly for entertainment purposes today. Except that now as many girls use them as boys. Back in the 80s, it seemed that most girls had very little interest in computers, but the advent of social networking websites has changed all of that. But I'll always remember the day when my Dad said to me, "can't you talk to your computer or ask it a question, will it give you the answer?". I was left thinking what a genius idea that would be - why wouldn't it do that?". Little did I know that the internet would be the answer to this problem. Now you can get all the answers you need. But, of course, it isn't the computer itself giving us the answers, just other people! Acorn's range of 8-bit micros from the eighties included: the BBC models, Electron, Master and Compact, and to a small degree the Atom and Archimedes. The BBC Models could be found in schools up and down the country in the early (launched in 1982) to mid-eighties. It was expensive compared to other 8-bit home computers, so it wasn't as popular in homes as the Speccy or C64, though close to a million units were sold. It had a brilliant, open and comprehensive BASIC (Beginner's All-Purpose Symbolic Instruction Code) programming language, though. Alan Sugar's Amstrad company also released a unique range of 8-bit computer systems. 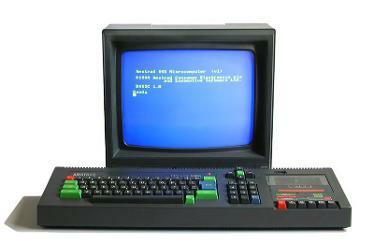 The first machine was the CPC 464, and this was introduced in 1984. It was released as a direct competitor to the Commodore 64 and Sinclair ZX Spectrum systems. Packaged as a "complete system" the CPC 464 came with its own monitor and built-in cassette tape deck. The CPC 664, featured a built-in floppy disk drive, and was released in 1985, to be replaced itself later that same year by the CPC 6128. In 1990, Amstrad launched the CPC 464 and 6128 Plus range featuring virtually the same hardware from the old CPC range, but with a few added tweaks! The original CPC range was successful, especially in Europe, with three million units sold. 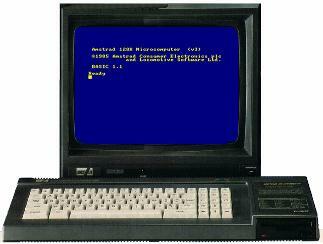 Then Amstrad launched the Amstrad PCW word-processor range, which sold eight million units. Variations and clones of the CPC range were also released in Germany. The Plus range failed to find a market amongst the higher spec 16-bit Atari ST/STe and Commodore Amiga systems. The early eighties saw an explosion in the 8-bit home computer market. Atari had captured the home video games market in the late seventies with it's cartridge-based, instant-load video games systems. But it was time to move on and allow people the chance to program their own games, and Atari also had to reinvent themselves after the infamous E.T. video game cartridge saga in 1983. In 1982, the company had an 80% share of the video game market and were worth around $2 billion. The following year, they lost £536 million and were facing a financial crisis. Atari released a series of 8-bit computers between 1979 and 1992. All were based on the 6502 CPU and they featured the most powerful graphic subsystem of any 8-bit machine. 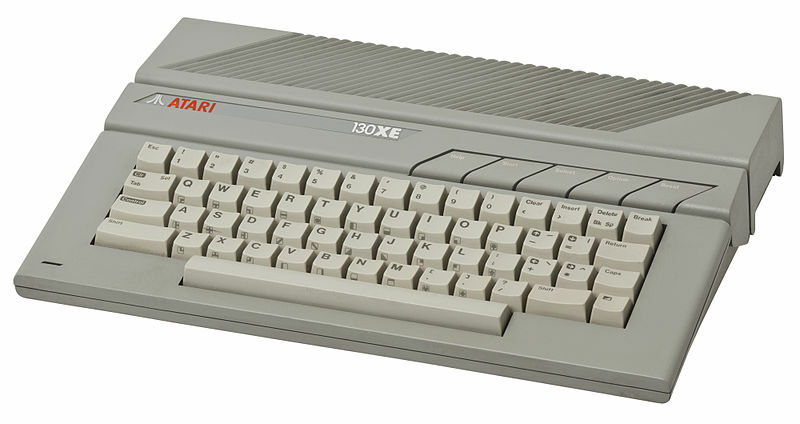 Several versions of the same basic design were released, including the original Atari 400 and 800 in the late 1970's, and their successors, the XL and XE series of computers. Models of the machine were being produced as late as 1991. Atari's best-selling home computer was the 800XL. This was a professional looking computer with more advanced graphics than most of its rivals. It was faster than the Commodore 64, and the beauty of this machine was that you could still load in ROM cartridge games. Unfortunately, despite it's superior features, the 800XL didn't sell as well as the C64 - in 1984, Atari sold around 700,000 computers, compared to 2 million by Commodore. Having a difficult-to-program (but powerful) Basic language built into it didn't help. However, it wasn't a disaster by any means, and there were still plenty of software titles available for the machine. Take a look at the Games Emotions Youtube channel and you'll find lots of video clips of Atari 800XL games - click here! 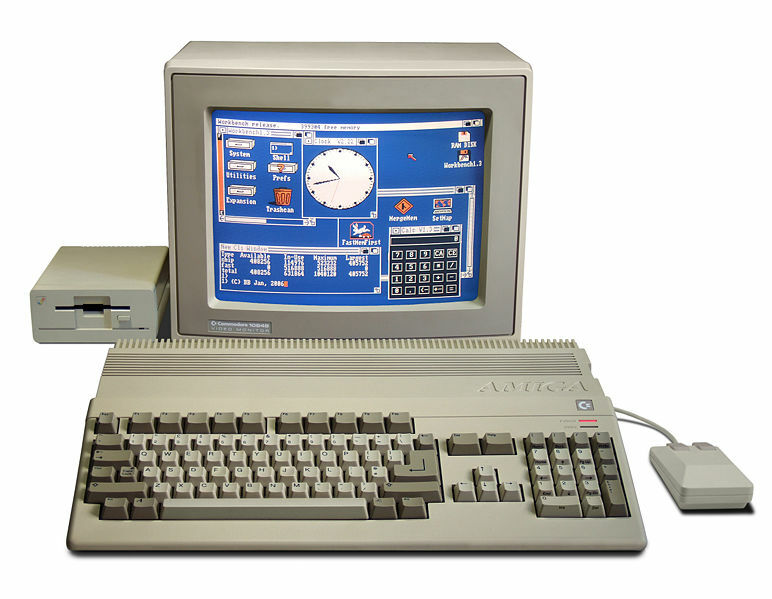 The best-selling Commodore models were the 8-bit C64 and 16-bit Amiga 500. The first Commodore models were the PET and VIC-20, the latter being the first computer ever to sell one million units. However, the real success story for the company came with the C64, which was launched in August 1982, although never made it to the UK until the following year. To start with, Commodore marketed the machine as a business machine in an attempt to grab a slice of the 8 bit market from the ZX Spectrum. Ironically, it was as a games machine that the Commodore 64 really shone. Apart from the number of units sold, the C64 was superior to the Spectrum in just about every way. For a start, it had a dedicated graphics chip (VIC-II) which provided multi-coloured sprites and hardware scrolling. Then there was the classic SID sound chip which was put to good use by the now legendary computer musician Rob Hubbard. The BASIC language was a nightmare, being hard to program, unstructured and slow. 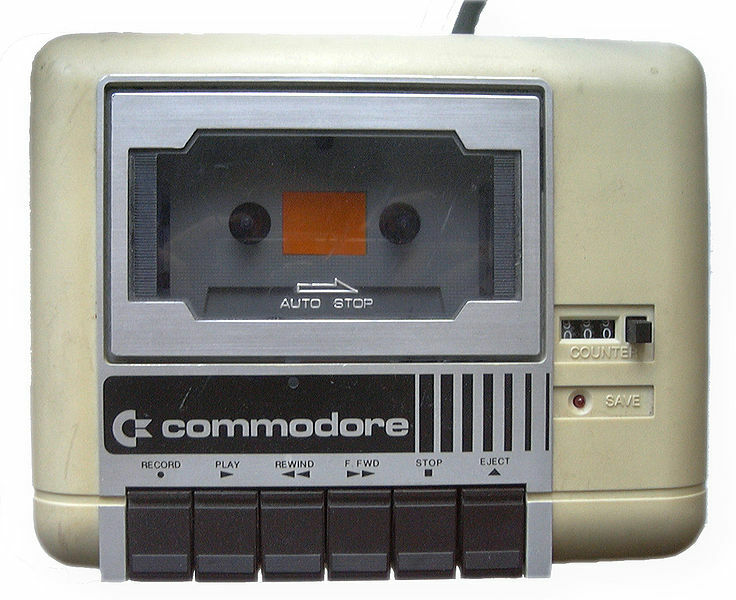 But for games, the Commodore was a sure-fire winner and had a loyal following. The C64 was still in production as late as 1994, the same year that Commodore went bust. Unlike other 8-bit models, the MSX was built by lots of different Japanese companies including Philips, Sharp, Sony and Toshiba. The hardware spec was created by Microsoft in America. The MSX was never a big success in the USA or UK, although it faired better in South America and a few parts of Europe. It was to be Japan where it gained the biggest success, hardly a surprise as all of the manufacturer's were Japanese. Although the spec isn't quite as good as the C64, it was a pretty versatile machine with decent enough graphics and sound capabilities. Following on from the ZX80, the Sinclair ZX81 enjoyed phenomenal success, despite being a very basic computer with black & white graphics. The next generation of computers proved to be even more successful, though. The Sinclair ZX Spectrum (with eight colours!) and Commodore 64 dominated the market. The main problem with the ZX81 was its membrane keyboard, which made it difficult to type in anything. Also nicknamed "The doorstop", it featured black and white graphics and just 1k of memory - it seems incredible that you could do anything with it! Still, on a positive note, it was British! The ZX Spectrum was the biggest selling 8-bit home computer in the UK, mainly due to the number of games released for it and its low retail price. More expensive, serious computers such as the BBC Micro really couldn't compete in terms of sales. Basically, school kids persuaded their parents that if they bought them a Spectrum it would help them with their homework. The truth being that they just wanted to play Jet Set Willy on it! Despite this huge success for Sir Clive Sinclair, he wasn't happy that the Spectrum had become a games machine, and he wanted to release a more upmarket machine. In 1984, the Sinclair QL was launched as a successor to the ZX Spectrum. It was aimed at the hobbyist and small business markets, but failed to achieve commercial success. The QL was hyped-up as being advanced for its time. It was relatively cheap compared to its rivals, but it failed to sell well. UK production was suspended in 1985. 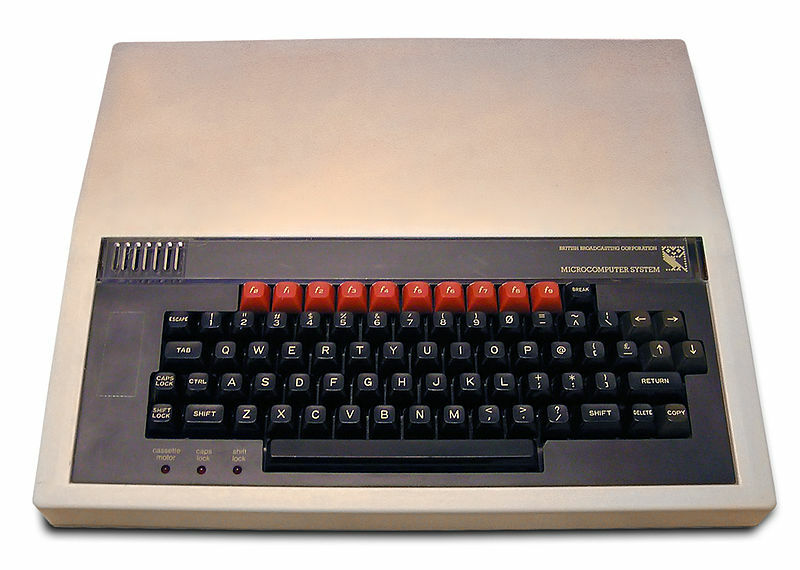 Sinclair's computer products lines were sold to Alan Sugar's Amstrad in April 1986, and the QL was officially discontinued. The problem was that apart from its reliability issues, the majority of ZX Spectrum owners were uninterested in upgrading to a machine which had a minimal library of games. Also, the business market failed to take the QL seriously and software companies failed to support the QL. The Sinclair brand and Spectrum range were bought out by Amstrad in 1986, and this saw the release of the ZX Spectrum +2. This 128k 8-bit featured a built-in Datacorder which was similar to the one in the Amstrad CPC464. Apart from the new case with spring-loaded keyboard and dual joystick ports, it was pretty similar to the ZX Spectrum 128 which had been launched in September 1985. DRAGON will offer 64K upgrade for the Dragon at the same time as the disc drives are launched in late May. The upgrade will cost in the region of £70 and will take the form of a board-swap of the main printed-circuit board. This will be undertaken either by Dragon themselves or by a number of selected Dragon service agents. The reason for the upgrade is that when discs are added to the Dragon 32, followed by loading in the 0S9 operating system and perhaps another language from disc, there is little user Ram left in which to write programs. The 64K version has the disadvantage that, because of the chip combination used in the Dragon 32, the 16K Microsoft Basic in Rom overwrites 16K of Ram. The way the Dragon’s memory map is arranged means that the 16K overwritten is the third quarter of the 64K Ram. What this means is that there is still only 32K of Ram addressable from the Basic — the remaining 16K above the Basic can be used to store machine-code. “The 64K board really comes into its own when used in conjunction with the 0S9 operating system and discs,” explained Dragon’s marketing manager, Richard Wadman. “The 64K can then be used in several ways. You can use the 0S9 operating system to switch out the Microsoft Basic in Rom giving you a clear 64K soft machine. Then you can load into the 64K from disc any operating system you like — Pascal, Lisp, C and so on. “Alternatively, because of the way the 6809 and SAM chips in the Dragon are configured, you can copy the 16K Microsoft Basic into a sensible position in the Ram giving you an uninterrupted 48K of user Ram addressable in Basic. “Obviously the 64K board-swap is of less use if you don’t have discs, but you can store machine-code subroutines in the top 16K and then call them for use in a 32K Basic program. IN a swinging series of price cuts, W H Smith has brought the Spectrum down under the £100 price barrier. The price of the 16K Spectrum drops from £125 to £99.95. With the Oric 16K machine still to appear, and the future launch of the Texet TX8000 uncertain, the Spectrum now becomes the first sub-£100 colour microcomputer. In addition, W H Smith has cut the price of the two other Sinclair computers. The 48K Spectrum comes down from £175 to £129.95 and the ZX81 drops to £39.95. These prices apply in W H Smith stores from April 26, and come into force a week before Sinclair’s own price reduction is introduced on May 2. The price reduction bringing the 48K Spectrum down to under £130 will put pressure on other manufacturers to reduce their prices. 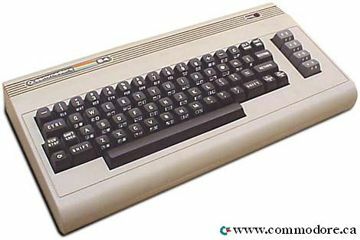 Commodore is looking closely at its strategy for the Vic20, presently selling for £139, and the price revisions may also bring problems for Acorn’s new Electron machine, as yet not launched, but expected to sell for around £150. Dedicated cassette player gets a face-lift! COMMODORE has given its C2N dedicated cassette player a face-lift– however, it will continue to sell at £45.95. Meanwhile, an American company, Bytesize Micro Technology, has produced a cassette drive interface which allows Vic20 and Commodore-64 owners to save and load data using any standard recorder. The Vik-Dubber cassette interface costs $36.95 – about £25 – and is available from Bytesize Micro Technology, PO Box 21123, Department GN, Seattle, WA 98111, USA.